Recent incidents across the country have heightened the focus of bias in policing. Well before tensions escalated in the wake of incidents in Ohio and Louisiana, leaders in the Colorado State Patrol were exploring opportunities to ensure that the CSP is addressing this tough topic head-on and training its members to minimize implicit bias. in Fair and Impartial Policing. CSP Chief Scott Hernandez has proactively implemented Fair and Impartial Policing courses for both uniformed and civilian members of the Patrol. And provides skills and tactics to reduce the impact of bias on how we act, thus resulting in fair, impartial and effective policing. 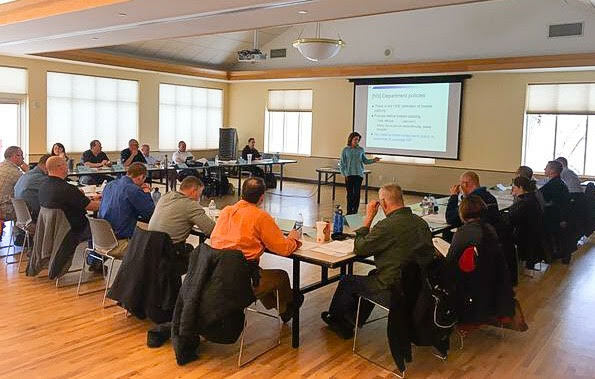 The rollout of Fair and Impartial Policing in the Patrol began in March 2016, when 25 CSP members completed a multi-day train-the-trainer course. 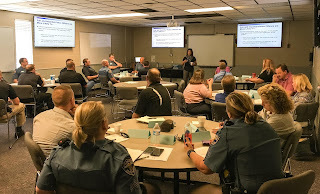 CSP command staff and captains, along with their civilian counterparts, completed a training course for leadership that included additional training on how to identify and intervene effectively when bias may be affecting a subordinate’s behavior. Now, the State Patrol is in the process of ensuring every single member has completed Fair and Impartial Policing training. The goal is to have all 1000+ CSP members complete the appropriate level of training by mid-2017. “This training, although relatively new to me personally, has given me better awareness of looking for behaviors versus traits when I am patrolling out on the roads. Having studied and taught the class, I have a more careful thought process into how I might react to a situation involving force,” Scovel said. Fair and Impartial Policing training. He added that an important part of the training is implementing proven ways to reduce unconscious bias. For example, initiating positive contact with community members in a non-enforcement setting can help combat the unacknowledged stereotypes we acquire over our lifetimes. All people, even well-intentioned people, have unconscious or implicit biases. Having biases is normal to human functioning. Biases are often unconscious, thus influencing choices and actions without thinking or decision making. Officers can learn skills to reduce and manage their own biases. Supervisors can learn skills to identify biased behavior in their direct reports and take corrective actions when they detect biased policing. Law enforcement executives and command-level staff can implement a comprehensive agency program to produce fair and impartial policing. Interested in learning more? Visit www.fairandimpartialpolicing.com.